Parking in a heavily congested area of the city, like Downtown Brooklyn, may soon cost you more money. The Department of Transportation plan to raise the price of parking meters in New York City by the end of the year. If you drive in New York City, prepare to pay more for parking by the end of the year. The city’s Department of Transportation proposed on Wednesday a plan to raise meter rates in order to hopefully allow for parking spots to turn over more quickly. “New York City’s parking rates are low compared to other large U.S. or global cities,” Polly Trottenberg, commissioner of the New York City Department of Transportation, said during a testimony on the preliminary budget at a hearing before the City Council on Wednesday. 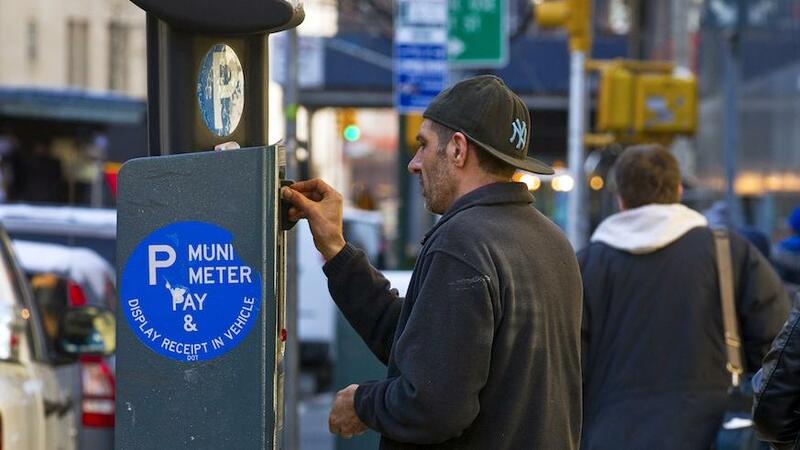 Cities around the country have been updating their parking meter systems; Boston previously conducted a pilot program that raised meters to $4 an hour on busy streets and San Francisco announced in December it would adjust meter prices by demand, in some cases up to $8 an hour. Currently, 60 percent of the city’s 14,500 parking meters are set at $1 an hour, and some of those are in highly congested areas, like Downtown Brooklyn, while others are in less dense spots, like East New York, noted Trottenberg. Raising rates in commercial areas that see more congestion could help promote turnover, she said. The department plans to raise rates by zones, depending on demand. The current system of three rate zones will be expanded “into a system of more zones to more closely match land use and parking demand in both Manhattan and the outer boroughs,” according to Trottenberg. DOT plans to begin these rate changes later this year. Trottenberg also touched on other items in the DOT’s budget, like a commitment by the department to assess more than 300,000 pedestrian ramp locations and upgrade or install new ramps as needed; the funding of several Vision Zero street reconstruction projects and the creation of an Authorized Parking Application website to better issue parking permits.